A google search illustrates covers of numerous editions of A Wild Sheep Chase, suggesting how popular it has been. I assume there are millions of existing reviews of the novel but I'm writing mine anyway. A Wild Sheep Chase was the first Murakami novel I read; I did so soon after its publication in 1989. I enjoyed it so much that I've bought & read each of Murakami's other novels soon after their publication. I enjoy it each time I reread it, which I did this week. Again, I found the novel totally engaging. Several of the features that I like are also present in some of the author's other works. The first thing I like is that the narrator of A Wild Sheep Chase is an ordinary man -- he describes himself as "mediocre." His wife leaves him for no really clear reason. His business partner seems to be equally mediocre, and moreover, he drinks too much. The narrator's new girlfriend is ordinary looking except for her totally amazing ears, which she usually keeps covered. She's also kind of ordinary except for a sort of sixth sense about things that plays a big role in the plot. Since the plot is magical, these mediocrities combine with the unreality of the novel to give me a wonderful sense of dysphoria or strange detachment. It's perfect for the genre of magical realism which I think is the correct category for Murakami's fiction. None of the characters in A Wild Sheep Chase has a name, or at least if they do, we never learn it in the course of the novel. What I like about this is that there's no trouble keeping the characters straight: namelessness seems to require discipline in narrating the novel, which Murakami has. The novel's narrator remarks on namelessness when he's sending his nameless cat with the nameless chauffeur who plays a role in the novel. The two men have a conversation about namelessness. The chauffeur gives the cat a name. The Rat is the tag by which the narrator names an old friend of his -- the closest anyone gets to having a name. There's also "The Sheep Man" and "The Sheep Professor." The central idea of the novel is that the narrator is forced by mysterious powerful interests to go in search of a mysterious sheep, whose supernatural capabilities may threaten society or the world. The narrator lives in a reality that's not exactly the same as ours. If this were another genre than magical realism, the plot would be ridiculous. The way Murakami creates this strange and other-worldly situation, however, is incredibly appealing. Several of his other novels capture the same spontaneous fairy-tale atmosphere. I love the way he suddenly immerses an ordinary character in an extraordinary imagined reality -- like Alice falling into the rabbit hole. This is why I like Murakami. 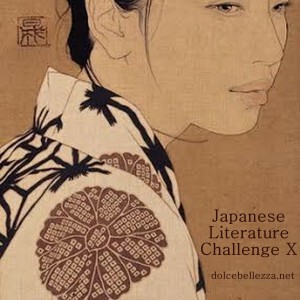 I'm sharing this with Dolcebelleza's Japanese Literature Challenge. Free Delicious Gelato: Happy Anniversary, Iorio! Whose Nutmeg is it Anyway? Famous things that are not "French"
You are now a cyborg.